With over 100 career and degree certificate programs, Delta is the top destination for students in California's Central Valley wishing to learn a new trade, upgrade their skills, or earn transfer units to four-year colleges and universities. Located in the San Joaquin Valley, San Joaquin Delta College serves the culturally diverse community of California's Central Valley and beyond. Our commitment to innovative, high-quality education provides students with the knowledge, experience and training necessary for 21st-century careers. Each year at Delta we are proud to meet – and exceed – the needs of over 20,000 students in over 70 different fields of study. We propel students into prestigious four-year institutions, often within the University of California and Cal State school systems. We provide certificates, degrees, transfer credits and technical training for career advancement or later-in-life career changes. Our beautiful updated campuses in Stockton and Mountain House provide students with state-of-the-art lab and science facilities, excellent libraries and research centers, as well as superior student resources for guidance and support. Accredited by the Western Association of Schools and Colleges, California’s official body of school accreditation, Delta proudly upholds the highest level of academic standards at the community college level. Taken together, our track record of educational excellence, spirited community engagement, and career-minded curricula are all in service of one goal: preparing our students for future success. We are located in Stockton, CA with additional locations in Mountain House, Galt, Lodi, and Manteca. 23,500+ Students attended Delta College during the previous semester. Within each academic program are a variety of options for degrees, certificates and transfer pathways. Our mascot, the Mustang, is used primarily to represent our 21 athletic teams. San Joaquin Delta College is the successor of the Stockton Junior College that formed in 1935. The College initially served as a lower division institution for the University of Pacific. 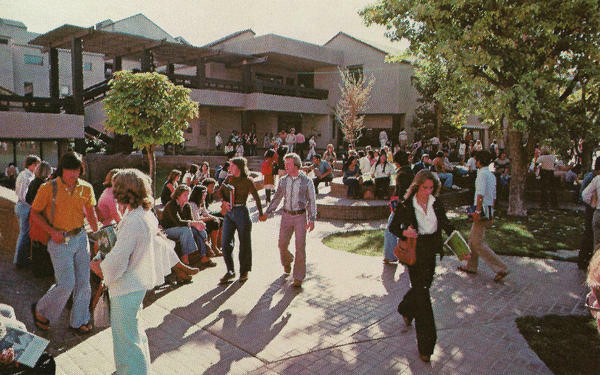 Since 1963, the College has operated independently and in 1976 opened its main Stockton campus. San Joaquin Delta College is a comprehensive public community college operated by the San Joaquin Delta Community College District. The district is governed by a Board of Trustees consisting of seven voting members, elected from trustee areas in general elections throughout the district, and a student representative, appointed by student government. The Superintendent/President of the College is responsible for administering the policies adopted by the Board. The College operates under a Shared Governance model with representative bodies that review all proposed policies and procedures prior to implementation.